Arthritis is inflammation of a joint. Over time, the loss of the smooth covering on the ends of bones (aka - articular cartilage) causes pain and stiffness. This can lead to pain with motion or at rest, clicking or grinding and a loss of strength. When the cartilage is damaged or decreased, the bones rub together during joint motion, resulting in “bone-on-bone” arthritis. When arthritis becomes severe, inflammation occurs around the joint and extra bone is formed in an attempt to protect the joint, resulting in limited motion and strength. Arthritis causes pain (particularly in the groin area), loss of motion and strength. Clicking and grinding may be felt inside the hip. If severe enough, walking may be altered due to pain. Arthritis is diagnosed by your physician based on physical exam and X-rays. Your orthopedic surgeon will examine your hip, noting range of motion, strength and pain with motion. Your surgeon may order additional diagnostic tests to evaluate all hip structures (CT/”CAT” scan) to evaluate the bones and joints or MRI to evaluate the muscles, tendons and ligaments. Hip arthritis can be treated with physical therapy, to strengthen the muscles that support the joint. Aggressive physical therapy is not suggested for advanced hip arthritis, as it may aggravate symptoms. Your surgeon may prescribe anti-inflammatory medication or offer an injection to reduce the inflammation. Certain nutritional supplements may be beneficial to decrease pain and inflammation. When non-operative treatment does relieve symptoms, surgery may be indicated in certain situations. Minimally –invasive hip arthroscopy is not indicated for most patients with hip arthritis. 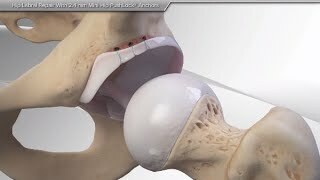 The definitive treatment for hip arthritis is joint replacement surgery. Your surgeon will resurface the ends of the bone where the cartilage has worn away, with metal and plastic implants. FAI is not true arthritis by definition. However, FAI is overgrowth of bone on either the “ball” (aka – CAM lesion) or “socket” (aka – Pincer lesion). A CAM lesion results is extra bone formation or a bump on the femur (thigh bone) and can impinge on the socket with motion. A Pincer lesion is extra bone formation on the acetabulum (pelvis). When the leg is brought to extreme ranges of motion, it will impinge on the Pincer. A patient with FAI can have an isolated CAM or an isolated Pincer, but most often will have a combination of both types of FAI, causing impingement and ultimately degeneration of the joint cartilage and soft tissue surrounding the joint (labrum). FAI is usually a combination of anatomical anomalies and abnormal stresses, typically from sports activities. FAI causes pain (particularly in the groin), decreased motion and strength. Clicking may also be felt in the hip if the soft tissue around the socket (labrum) is torn in conjunction with the FAI. Your surgeon will perform a physical exam and obtain X-rays. Pain with provocative maneuvers will increase pain, leading to the diagnosis of FAI. X-rays will demonstrate extra bone formation on the femur, the acetabulum, or both. Your surgeon may order additional diagnostic tests to evaluate all hip structures (CT/”CAT” scan) to better evaluate the fracture or MRI to evaluate the muscles, tendons and ligaments. Historically, non-operative treatment consisted of rest, anti-inflammatory medication and activity modification. Patients were often advised to “wait until the arthritis got bad enough” before having hip replacement. Current non-operative treatment may include the above treatments with a specific physical therapy program dedicated toward treating FAI. Operative treatment of non-arthritic FAI consists of a minimally-invasive hip arthroscopy to treat the underlying pathology. Arthroscopic removal of extra bone on both the femur (aka – osteoplasty) and acetabulum (aka – rim trimming) is performed, as well as repair of any other pathology in and around the hip joint. 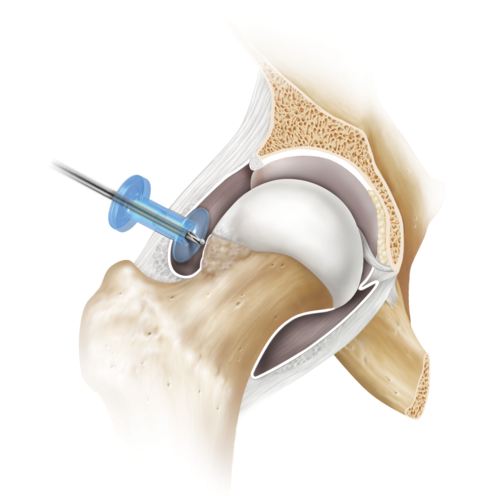 Labral repair is commonly performed in conjunction with osteoplasty and rim trimming. Hip arthroscopy may delay the onset of hip arthritis. Over time, patients with FAI ultimately continue to progress to arthritis.